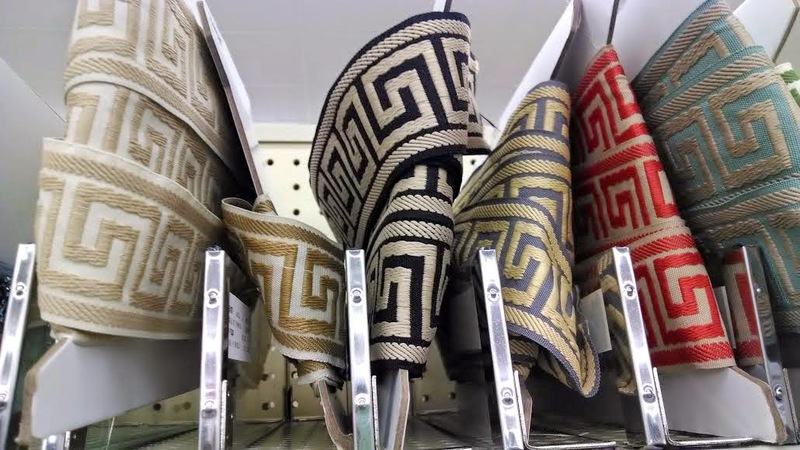 Joann had just a few color options, mostly in the neutral family. 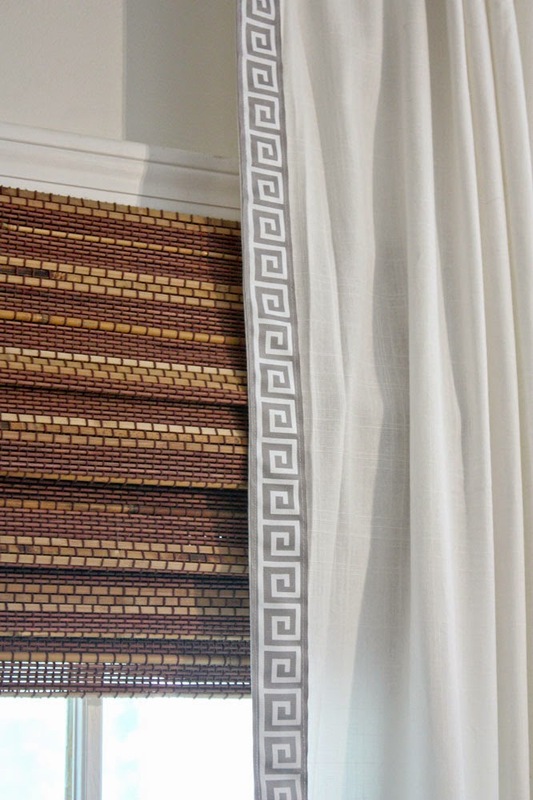 It was pretty nice trim, and was priced at $7/yard to start with. Add in a 40% off coupon (you can always find one for Joann's), and it was an inexpensive $3.5/yard. Not bad. 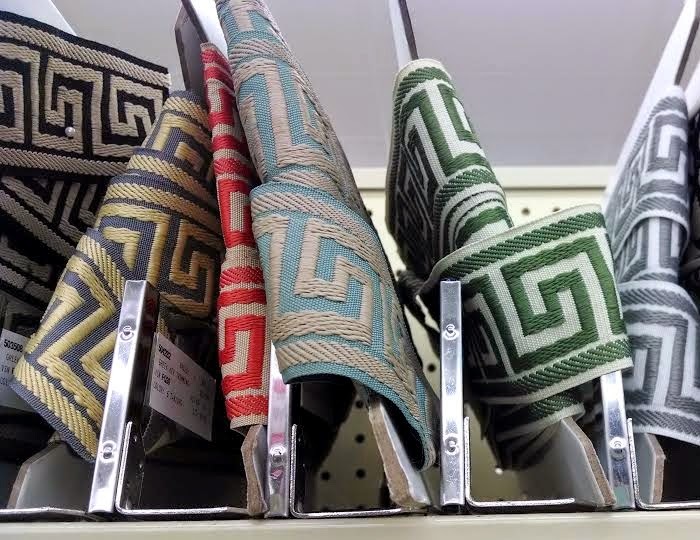 Unfortunately, they were a few yards shy of the 12 I needed for my curtains. 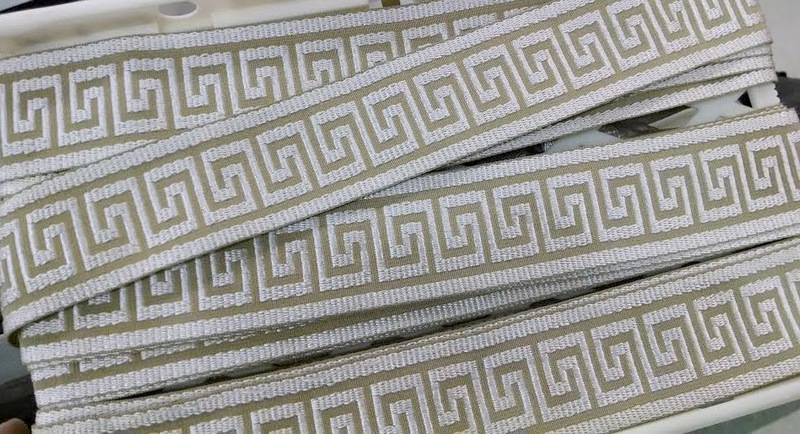 Super inexpensive grosgrain with a printed greek key design. It felt a little like cheating, just a little bit wrong. But come on, let's be real here. I'm not an interior designer. 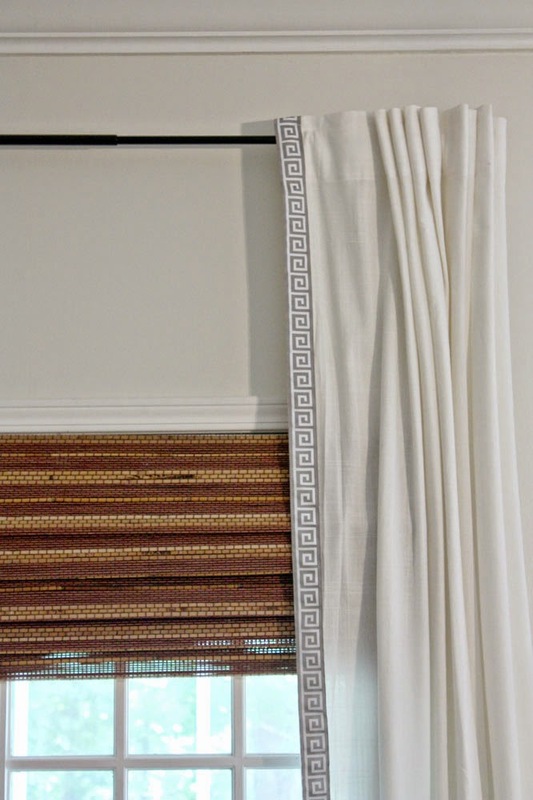 Most people who come to visit me in my home won't even notice (or care about) the silly trim on my curtains. And chances are, I'm going to want to change it out in a year or two anyway. And it felt much better to spend $8 than $40, $80 or $100. 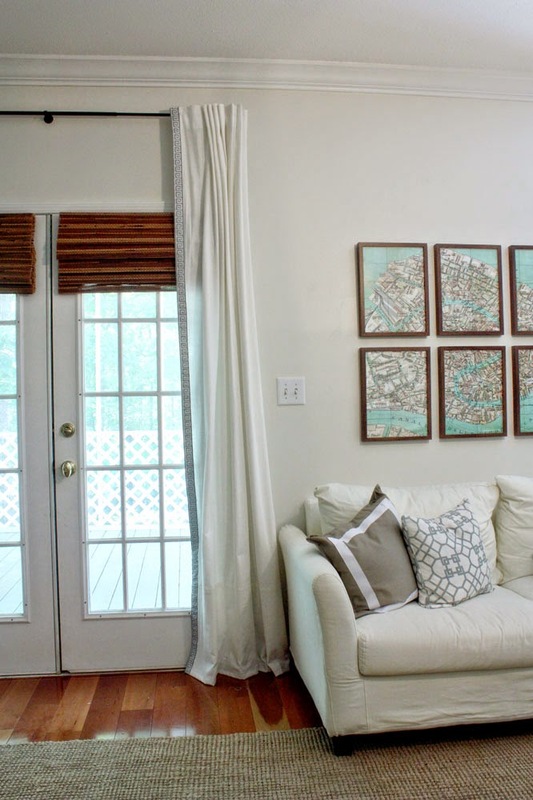 Especially since I was sewing it onto $20 Ikea curtains. My inner cheapskate is quite happy. And even my inner design snob has to admit that you really can't tell from a distance (and nobody's going to be looking very closely anyway).